Designed to cater to all stages of life, we offer independent living, assisted living and memory care services! Throughout each service level, we strive to make every moment of every day something special. This is why no matter what we do, large or small, we work to help our residents Shine. Everyday. Take a look at our monthly specials and giveaways. Give us a call or fill out the form to see how you can qualify. 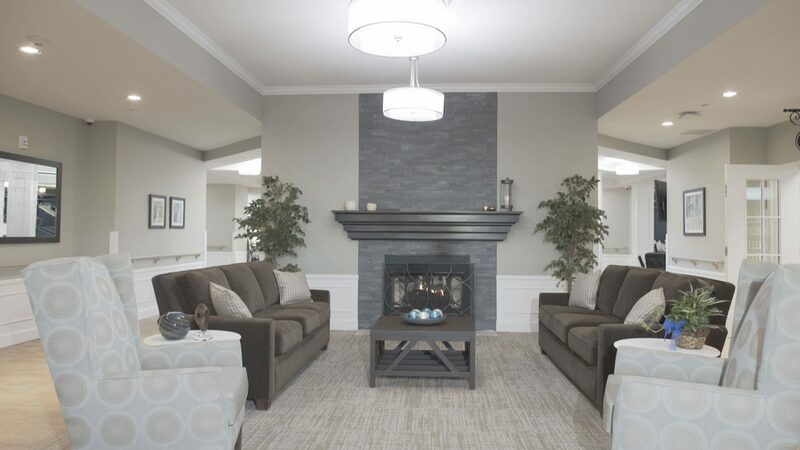 Whether chatting with friends, enjoying the warmth of the fireplace or just relaxing with a nice book, the main lobby is our community’s central meeting place. We welcome residents and their guests to stop by during breakfast hours for a warm cup of coffee, a refreshing latte or to enjoy our baby grand piano, with an iTouch self-playing option. An ideal space for movie nights, lectures and celebrations, the Media Center can seat up to 75 people! Residents and their guests are invited to use our computers, printers and library at any time! The Candlewick Bistro offers the perfect “night out” experience with casual dining and all the excitement of a sports bar. With multiple menu options prepared by our Executive Chef, there’s always an open seat at the Prime Thyme dining room! Available for residents and their loved ones, our private dining room can be reserved for gatherings of up to 10 people! For those looking to unwind, our licensed, professional massage therapist is available for treatments that are both relaxing and beneficial for overall health. Our convenient in-house beauty and barber shop offers residents styling services, manicures and pedicures, as well as a whole body massage chair. Extending beyond pool tables and cooking demos, our variety of activity rooms offer access to activities curated by our Life Enrichment team. Do you have a favorite hobby or craft? We’re always looking for new suggestions to place on our activities calendar. We pack each day full of fun events, activities and excursions based solely on the interests of our residents. Want To Know More About StoryPoint Grove City? Ben Davis, one of our Executive Chefs, has all the tricks in the kitchen and is whipping up a quick and easy holiday appetizer. 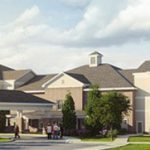 See StoryPoint Grove City for yourself by scheduling a visit with one of our Community Specialists! All you need to do is fill out the form below.